In 2017 I made a goal to read 35 books throughout 2018. I have some book list inspiration for women that I want to share with you, but let me tell you the story real fast about this goal I made for myself. Maybe you can relate. Reading 35 books in 2018 was a pretty lofty goal since I read UNDER 12 in 2017. However, I have always loved reading. However, when I became a mom that hobby took a backseat, WAY in the back. So it rarely happened. In 2018 I wanted to focus on self care more to help combat some anxiety I deal with. So I thought reading was a fantastic way to start. I read 46 total. It is crazy how if you put your mind to something you can accomplish it. 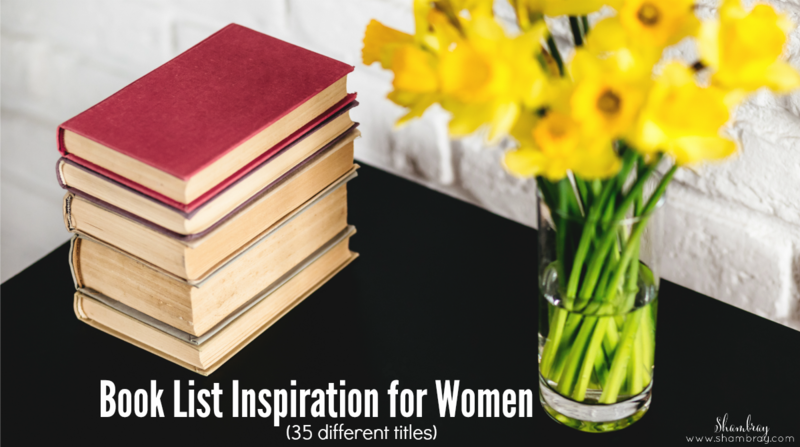 I am providing my list of books as a book list inspiration for women and I will give tips on how to read more if that is a goal you want to achieve as well too. It is doable. If you like reading, but find it hard to take the time to do it then please keep reading. You owe it to yourself. 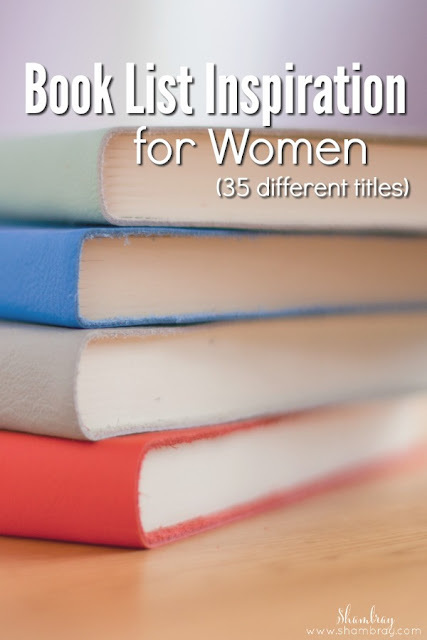 Book List first, then a few tips. I am going to break my books that I choose into categories. I will also provide links to all the books that I had on my 2018 reading list. I must add that I decided to do this because of a reading challenge that my friend Julia posted about on her blog. I decided to take her challenge and I loved the diverse books I read because of it. When I introduce a book I will list what category it fulfilled in that reading challenge. I am saving my favorite books for last. They are my books I like to call my personal "Hall of Fame" books. These are books I want to read dozens more times in my lifetime. I didn't love these books, but I would love to hear your thoughts if you read them and loved them. That is the beauty of books, some people love a book while others might hate it. Books are very personal. There are VERY FEW BOOKS I DON'T LIKE, even these ones had great moments. However, I wouldn't recommend them to anyone personally. 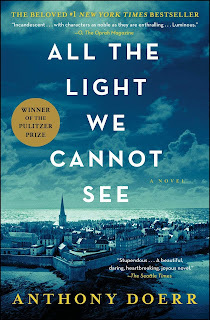 Challenge Category-"With a subtitle": This one is my least favorite book I read in 2018. It had some really good one liners. It had some points that I could relate to wholeheartedly. However, it was hard to get through. The author and I are very different in a lot of big topics. So it was hard for me to push through it. Challenge Category-"Set in a place I want to visit": Just for those of you wondering....it is set in Italy. This was SO SLOW at first. That is why I wouldn't read it again. It became a lot better, but not enough to fully redeem itself. This could go in the "Classics" category I have below, but I just wouldn't recommend it. So that is why it is here. These books had their own categories and I didn't have two or more books to go with them. So I threw them in this category together. 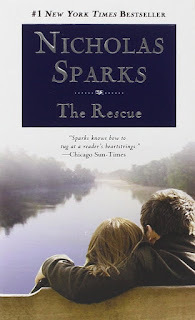 Challenge Category-"Favorite Author": I can't say that Nicholas Sparks is my only favorite author, but I picked him because it had been quite a few years since I read one of his books. I of course loved this book. 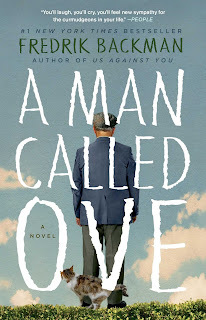 I had a friend who usually doesn't like love stories read it and she loved this book because of all the twists and turns and details in the book. 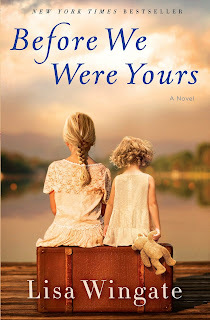 Challenge Category-"# in title": This book was happy and sad all in one. The girl in this book is so strong and so amazing. I want to read this to my girls when they get older. It shows that hard things don't have to define us. 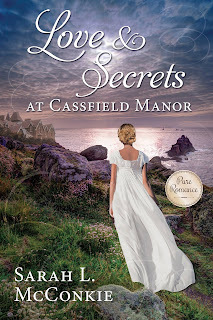 Challenge Category-"Random book chosen by it's cover": I think the reason why I picked this book is because I love regency romance novels. I was very happy when I liked this one as well. It had plenty of suspense and a great love story to make it even better. 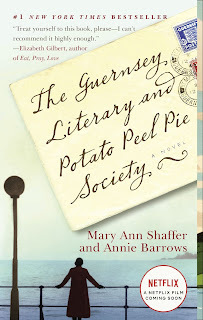 Challenge Category-"Translated from a different language": I was pleasantly surprised with how much I liked this book. This isn't the type of book that I like to read (usually), but I really liked it. I found myself laughing out loud numerous times during this book. Ove was so endearing. I fell in love with him and I loved seeing his heart soften (think the movie Up) throughout the book. 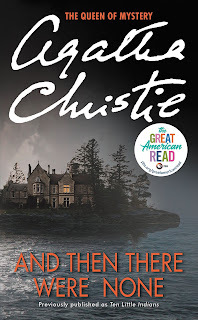 Challenge Category-"Mystery": Once again I am surprised with how much I liked this book. I was super scared to pick a book from this category because I am the biggest scaredy cat in the whole world. However, it wasn't as creepy as I thought it was going to be. I talked to a lot of people that told me I would be fine. They were right. 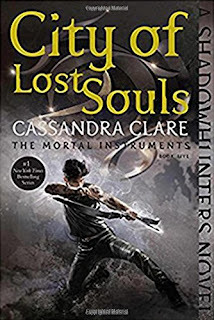 Challenge Category-"From my must read list": I had read the previous books in this series years ago and needed to finish the series. I actually reread and read all the books remaining books in this series during the year as well. I actually like this series a lot. 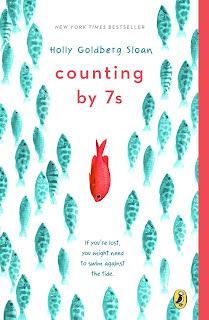 Challenge Category-"Published in 2016": I am sad to admit this, but I really didn't love this book. I didn't hate it, but I wish I loved it as much as I did the first 3 books in the series. The first 3 books will be shown later on in this list. Let me tell you when I read them 4 years ago I FLEW through them and I am NOT a fast reader. Click picture to read more about the book. 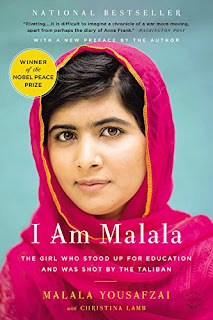 Challenge Category-"Biography": I am not a typical biography girl, but this one was captivating. I loved getting to know him better. I also liked reading about everything he has accomplished. Click picture to read more about this book. 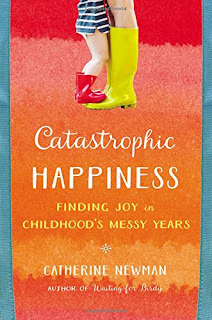 Challenge Category-"Self Improvement": This IS a parenting book, but I still put it in self improvement, because I am a mother who wants to get better. This book is amazing. It has changed the way I look at raising my kids. It has more of a cooperative approach to parenting. 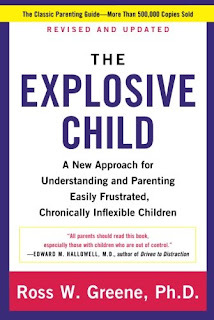 I really really liked it and suggest anyone who has kids who get really angry or are highly emotional to read it. Click on the picture to read more about this book. Challenge Category-"150 pages or less": This is a very quick read. 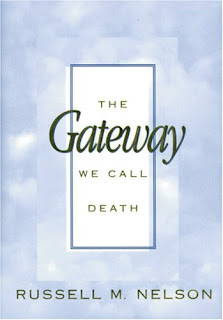 I decided to read this one because my young cousin died in a tragic accident. It came very suddenly and it was very hard. I also knew I would be losing my grandma sometime soon. Sure enough she passed away a few months after reading this. There were great words in this book. I loved it. Click on the picture to read more about the book. Challenge Category-"Culture I'm not familiar with": I know OF this culture, but I found out I knew NOTHING about it. I can't begin to explain how life changing this book was. I think about my life here in the United States so differently than I ever did before. This book is phenomenal. 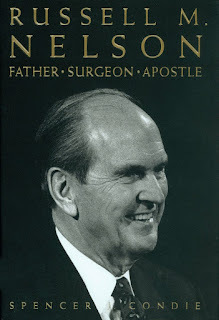 Challenge Category-"A book I previously started": I had started this book the year before. Just like most non-fiction books I didn't get through this very fast. Even if I like them it takes me longer to get through them. This one was beyond interesting. If you are an introvert you must read this. 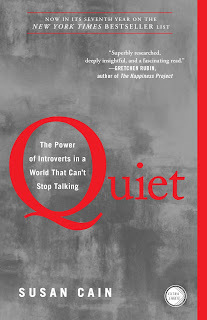 If you are an extrovert and have a hard time understanding introverts then this would be a great book to read. Click on picture to read more about this book. 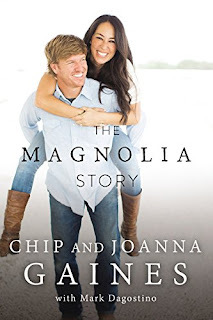 Challenge Category-"Written by a celebrity": Who doesn't like Chip and Joanna? I love their personalities AND their style. So naturally I loved this book. It was so fun to get to know them better. If you have a chance you should listen to it on audio book, because they read it and it is so good. However, you want to hold the book too because there are pictures as well. Challenge Category-"In a made up place": I read this with my 6 year old daughter. It had some parts that were tough to get through because of the old English that was used, but we loved it. I will say that it is MUCH darker than the Disney version of Peter Pan. Challenge Category-"100+ years older than me": Can you believe I have never read this book? I have seen many versions of it in movie form, but never read it. It has been on my "to read" list for years. So I decided to change that this year. I loved it. I knew I would. Challenge Category-"Over 400 pages": Reading this one checked another book off my "to read" book list that has been on there far too long. 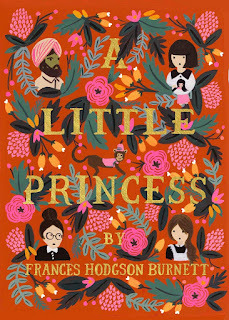 I didn't know as much about this book as I did Pride and Prejudice, but I knew enough to anticipate some things happening. Once again. I really enjoyed it. Challenge Category-"Considered a classic": When I was younger I watched this movie on repeat. I am so very surprised I haven't actually read it. I knew the story line, but I was surprised how much my heart hurts for her while reading it, even though I anticipated everything. Once again a beautiful story about a girl who doesn't give up. 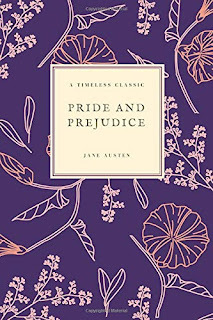 Challenge Category-"Favorite Holiday Book": I know most of you are probably thinking there is no way I can be a book lover and not have already read all of these classics. I know. I know. I am shocked too. I know this story inside and out. I knew what was going to happen and I basically knew when it was going to happen. 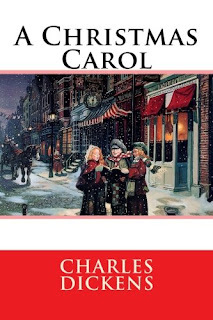 I laughed out loud a few times because Charles Dickens is just so amazing at telling stories. 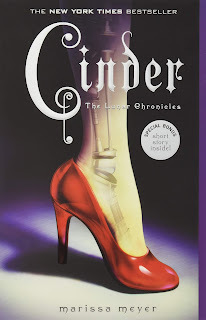 Challenge Category-"1st book of series": I liked this book, but not as much as the TV show. Maybe because I was smitten with the show first. It was a fast read and I liked the book, just not quite as much as the show. 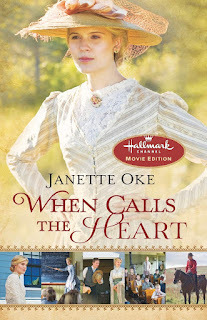 Challenge Category-"Book to Movie": This book was so good. I loved it. It took me a bit to get all the names of the characters down, but I loved it so much. I wish the ending wasn't as abrupt, but it was really good. 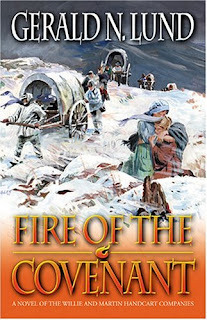 Challenge Category-"An Award Winning Book": I love historical fiction books. So very much. 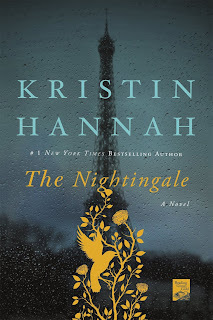 My favorite historical fiction books are usually set during WWII and that is the time period of this book. Just like all WWII books (typically) I wish it had a happy ever after. Although the end of this book isn't terrible it wasn't a ride-into-the-sunset-forever-happy type book. I guess that is how WWII was though...even when it was over there was so much loss. 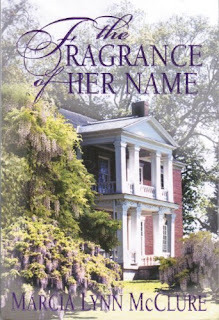 Challenge Category-"Book with a name in the title": This book had me captivated by the first page. However, it lost steam for me in the middle and then picked up toward the end. I had no idea about this part of the world during this time frame. I learned a lot and there were so many good insights and thoughts about life and how hard it can be, but finding happiness through it all. Challenge Category-"A New York Times Bestseller": YOU GUYS! This book! Are you kidding me?! It was heart wrenching. It makes me sick to think this actually happened. I read all about the actual events of this whole scandal and I couldn't believe it. Utter shock. It was a good ending, but still so heartbreaking. How can you have both endings?! Challenge Category-"Based on a Historical Event": Once again I had no idea that I had such little knowledge about the Willie and Martin Handcart Companies. So little. I was so intimidated by the mere size of this book. I read it towards the end of the year and I was scared I wasn't going to finish it in time (I am not a fast reader). However, I flew through this book. I couldn't put it down from start to finish. I wanted it to keep going and see the characters settle in more. It was so good. I loved how the author brought in both historical and fictional characters. 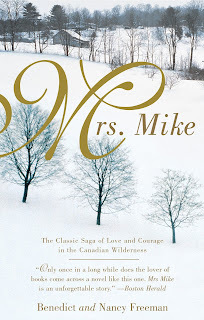 Challenge Category-"Sure to make me cry": This book is borderline into the next category as well. I don't know why it isn't so maybe I should move it there. I guess because I wanted to keep it with the other two WWII books. It was so good. I cried a lot. The ending was sad and happy at the same time. This book made me see how brave people were during this time. It was mainly the women that it followed and wow. I want to be that amazing. These books were my favorite of the whole year. They are ones I have already read numerous times or plan to read again. They are ones I will recommend to everyone. Challenge Category-"Recommended by a friend": My friend Tera recommended this book to me. She actually knew I would like it so she gave me a copy. I haven't read a lot of books during WWI so it was fun to read. There was a ton of references to the Civil War as well which I haven't read a lot of. I LOVED the suspense in it, but the love story was the BEST. 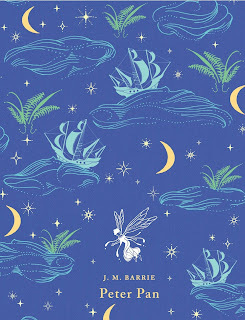 Challenge Category-"Fairy Tale": I have to say I was VERY skeptical about this book. I need to tell you though that I loved it so much that I stopped reading the books on my reading challenge and read this ENTIRE SERIES before I read another book on my list. I blew threw them so fast and I wanted to start reading them again as soon as I was finished. The twist of the fairy tales was so creative. I seriously loved it. So if you are skeptical then you must give this series a chance anyways because I was the same way. 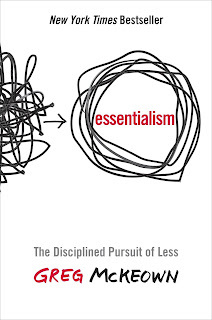 Challenge Category-"One word title": I know I keep saying this, but THIS BOOK. You have to read this book. It puts everything into perspective. It makes you think about what is important (essential) in life. It is just so good. You must read it and refer back to it often. Challenge Category-"3 books by same author": I wanted the first 3 in a picture together and so I had to have all 5. I actually read all 5 in this year. 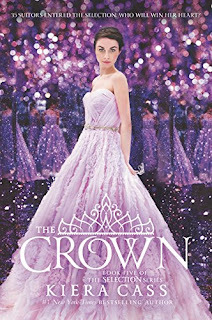 I have already talked about The Crown earlier. The first three books are some of my favorite books ever. My best friend gave me them when I had my youngest baby. She gave them to me to read while I was nursing. Well read them I did. I read all 3 in a week. Once again I must say that I am not a fast reader. This was done because I couldn't put them down! Click the picture to read more about these books. 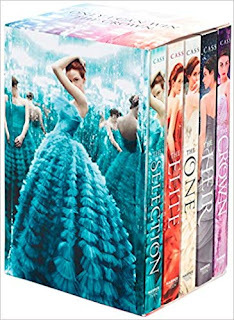 Challenge Category-"Read before" AND "Finish in a Day": I had to put both of these together, because you can't read Heir to Edenbrooke without having Edenbrooke in your hands. They are bound together. 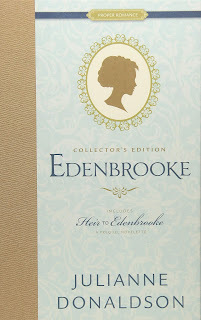 With that said, I don't know if Heir to Edenbrooke should be in my Hall of Fame books, but it is so short that why not? They are literally in the same book. Edenbrooke on the other hand has my whole heart and soul. I LOVE THIS BOOK. It is my favorite book ever. I could read it over and over again. Audio Books! This isn't holding a book in your hands, but you are "reading" a book. It makes chores so much better. I loved doing this during chores, driving in the car alone, or whenever I really wanted to read, but couldn't actually sit down and read. Schedule time to read. Make a date with yourself and read the book you have been wanting to read for quite some time. Always carry your book with you. You never know when you will be waiting at an office or in your car, might as well be reading. Do a reading challenge like I did. It is crazy if you put your mind to something then you will find ways to do it. Go to bed earlier. This way you can read for a bit and then go to sleep at your normal time. So that's it. Have you read any of these? Have you been wanting to read any of these? 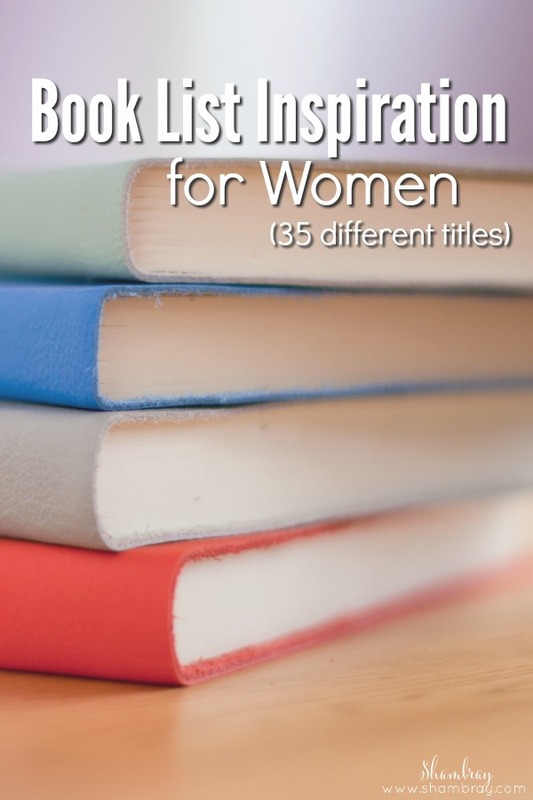 Did this post add any books to your list that you want to read? Also, I would love to hear what you are currently reading! I received a set of shampoo and conditioner in exchange for writing a review on the blog. Although this post is sponsored, all my opinions are my own. You know how people say "I thought I died and went to heaven" when referring to something amazing? I kind of thought I would only love my hair when I died and went to heaven. I always told people that my hair will be different in heaven, because it is FAR from perfect. I had so many people, including cosmetologists, tell me to try different shampoos and conditioners that were "the best shampoo and conditioner for your hair". I would like things about it but there would be a million and one things I didn't like about it. I always said, "If I was a millionaire then I would pay a chemist to develop a shampoo and conditioner for MY hair. Well guess what?! Sadly, I am not a millionaire....at least not yet. However, I had my first bottles of shampoo and conditioner made just for me last Fall that cost less than MANY of the other ones I tried previously! I couldn't believe that I had customized shampoo and conditioner that were developed for me. It was a dream come true. Do you want to hear my real life experiences with it? No hiding anything. I will tell you the same thing I told my sister and close friends not all over the internet. I LOVE it. HOWEVER, the first ones they made I HATED. I can't explain to you how bad I hated them. I felt terrible because I had heard so many amazing things about everyone else's products. Everyone I talked to was loving it. I wanted so badly to love it, but I hated it. I want to tell you my story about it, because I am that passionate about this story. 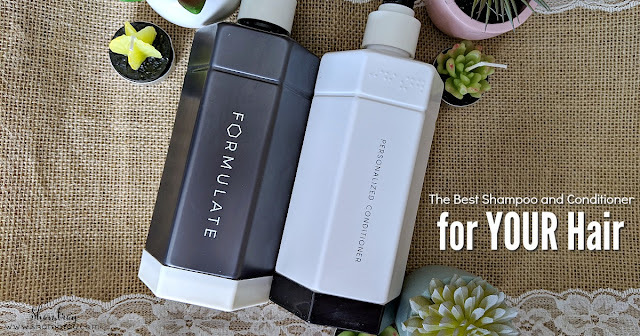 I want you to find something that you love for your hair as much as I love Formulate for mine. Life is too short to not have the best for your self care needs. Especially if you don't love your hair as much as I didn't love mine. When I first started setting my profile up they had me take a very in depth questionnaire. It asked things like how thick my hair is (and showed different examples so I could pick the closest match). It also asked if my hair was thin, course, or in the middle. It asked where I live so that they could take into account the temperature and the humidity. It asked how "greasy" my hair is. They asked these questions and so many more. Seriously they thought of everything. Then I got to choose what 5 hair goals I wanted to have this shampoo and conditioner target. I chose to target mending split ends, anti frizz, hydration, deep conditioning, and preventing thinning. There are a lot of choices and I felt like this was the best thing for me at the time. My biggest complaints were that my roots are always greasy, but from the middle to the ends there is immense frizz. Also, I got to pick the fragrance I wanted it to be and how strong I wanted the fragrance to be. I picked Freshly Squeezed at medium strength. Then I waited for them to put my formula together. It takes between 5-7 business days. When I got it I seriously was more excited for the package than I want to admit. I couldn't wait to try it out. Then I tried it. Now let me give you a back story. I had never used sulfate free shampoo before. So I was not prepared for the lack of lather that happened. I tried to push past it, but that was the first thing that made me question the whole thing. I followed the directions in the package exactly because I wanted to give an accurate review. It said to use 6 pumps. So I did. It felt really heavy. I tried to rinse it out over and over, but just decided that it was going to feel like that. Then I used the conditioner from the middle down. I have been doing that for years so that is nothing new. Then I got out of the shower and still didn't love the way it felt, but again tried to remain positive and hope that after it was dried it would feel better. I dried it and I HATED the way it felt. It was so weighed down. I can tell you there was NO FRIZZ so that target was hit, but I didn't like the way it felt so much that I knew I would rather have frizz than have it feel like this. My husband said he liked the way my hair looked and I told him I hated the way it felt. So he felt it and immediately said, "It feels like you spread clay in it." I started laughing and was glad he was able to put words with how it felt. That is exactly how it felt. I am not a person to try something once and give up on it. I wanted to love it so I gave it 4 more shots. Each time I tried something different. I would use less product. I would wash with warmer water. I would wash with colder water. I tried everything. However, I still hated it. I was devastated. I felt so bad that I didn't love it as much as everyone else I had talked to. So I decided to reach out to Formulate. Do you know why? Because that is what they said to do. They were PHENOMENAL. They said, "Lets fix it. We don't get it right the first time all the time. So lets figure out why you hated it and we will send you new ones." After talking they had a better idea of what would work and then asked if I wanted to try the same scent. I decided to change to At Dawn. Side note: I didn't mind Freshly Squeezed. It smelled clean, but at times I felt like it smelled too close to a cleaner and so I went with At Dawn instead. I was so optimistic. However, I wasn't getting my hopes up. So I gave them my revisions and waited a bit longer. When I got my new shipment I was excited once again, but a little reserved. When I tried it the second time I was more prepared for the lack of lather. I was so so so happy with the product. I can't even explain to you how happy I am with the whole experience. I love the way my hair looks and feels now. I was beyond surprised with how amazing the customer service was. 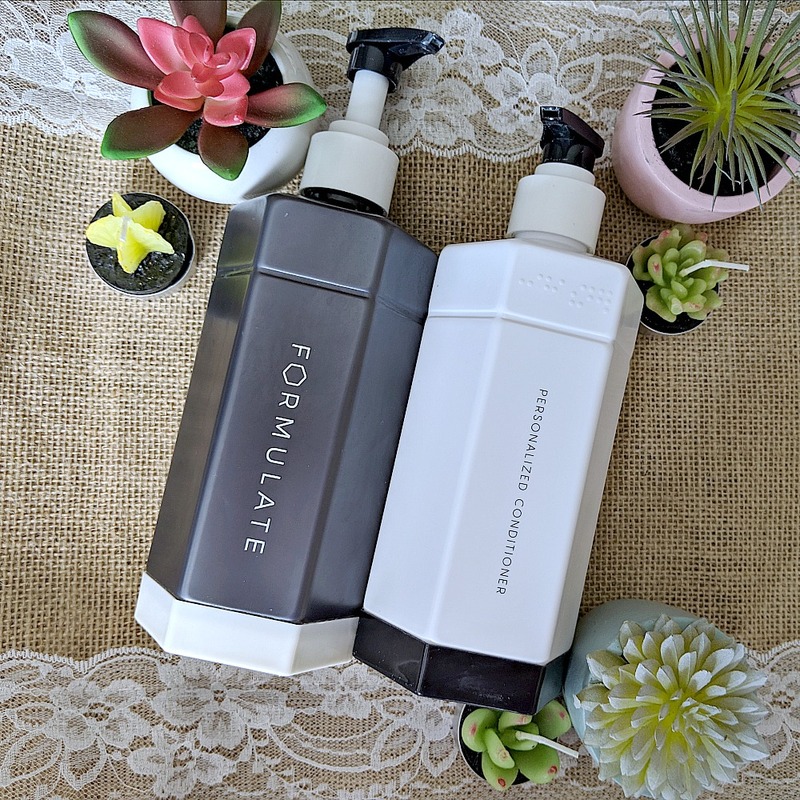 I have had more compliments on my hair since I started using Formulate then I have in over 5 years. I feel the difference as well. It makes me more confident and my frustration with my hair has diminished. I am getting ready to get a new formula started for me because now that I have my most frustrating issues taken care of I am going to work on getting my hair longer, manageability (keeping my style maintained throughout the day) and then also more intense oil control at the roots (it is better, but I would like it even better). I am also going to try the fragrance Burgeon. I really like At Dawn. So we will see how I like this one. I want to say one more thing. If you have been around here for a bit then you know I like to live a more simple lifestyle. I do not consider myself a minimalist, but I do live a more minimalist lifestyle. It is easier for me to feel more peace in my home where there is less stuff. With that said this product has dropped the amount of product I have to put in my hair. I used to have to put heat protectant on and detangler right out of the shower. Formulate has heat protectant in it. I do apply more protectant on it when I curl my hair the third day after washing. However, I use way less of that product now. I also used to have to use Moroccan oil the same day I washed it because of frizz. Now I don't have to use it until day 3 or sometimes even day 4. So now I want you to try it. I want you to love your hair and your hair care products. So please give this a shot if you are looking for something better. If you are a person who uses a heat everyday then I would set one of your hair goals to be heat protectant. Don't be afraid to tell Formulate if you don't like your formula. They are just people and sometimes they don't get it right, but they will get it right. I would say give it about a month to see how your hair fully reacts to the product. My hair continues to get better the longer I use it. Don't waste more money and time on getting "the best shampoo and conditioner". Instead let a chemist do the guess work for you and formulate something for YOUR hair. If you feel like they can't get it right then you can discontinue and get a full refund. So really there is no risk. Remember that your hair changes with age. So as you use Formulate your hair goals might change. You can change it at any time. The app is SUPER simple to navigate and switch things up. For a 14 oz set it is $49. This lasts me around 5 months. I wash my hair every 4 days. If you would rather just pay for a starter set they are 4 oz. They cost $19.95 for the set. I am so excited! 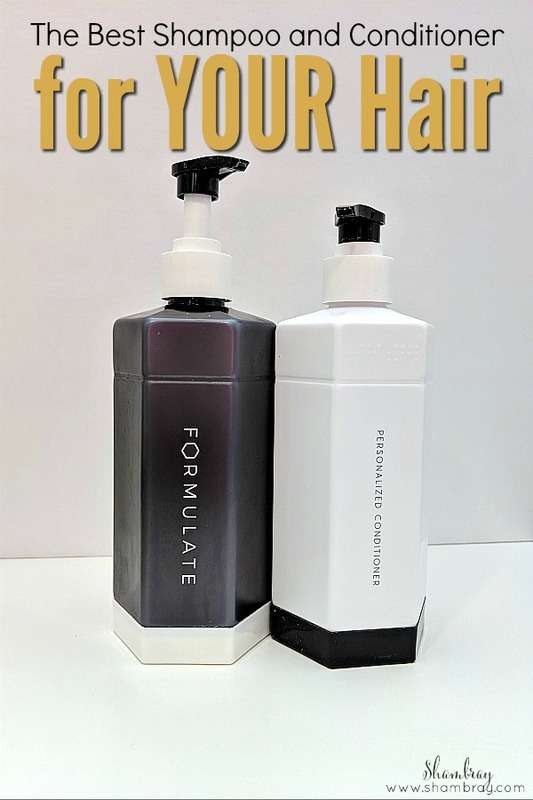 Formulate is giving away a set of shampoo and conditioner to one lucky winner! So don't wait. Enter now and hopefully you will be the lucky winner! Just click on the link to go to my Formulate profile and you can enter there. Do you want to know the best part?! The non-winning entries will all receive a $5 off coupon code! So once again everyone will win! Have you ever made these excuses? My house is too small to have organized storage space. I have too many weird shaped things to have organized storage. I need to have a ton of money to get storage containers if I want an organized house. Have you said any of these things? I have posted some quotes on storage tips from the book The Life Changing Magic of Tidying Up. I have put Marie Kondo's quotes in quotation marks, anything outside of quotation marks is my own words. "I have only two rules: store all items of the same type in the same place and don't scatter storage space. If you have already been selecting what to keep on the basis of what speaks to your heart, then you will understand what I mean because you have already collected items by category, spread them out in one spot, and held them in your hand to make your decision. The work you have been doing has actually honed your ability to sense what belongs together and to choose appropriate places for storing them." 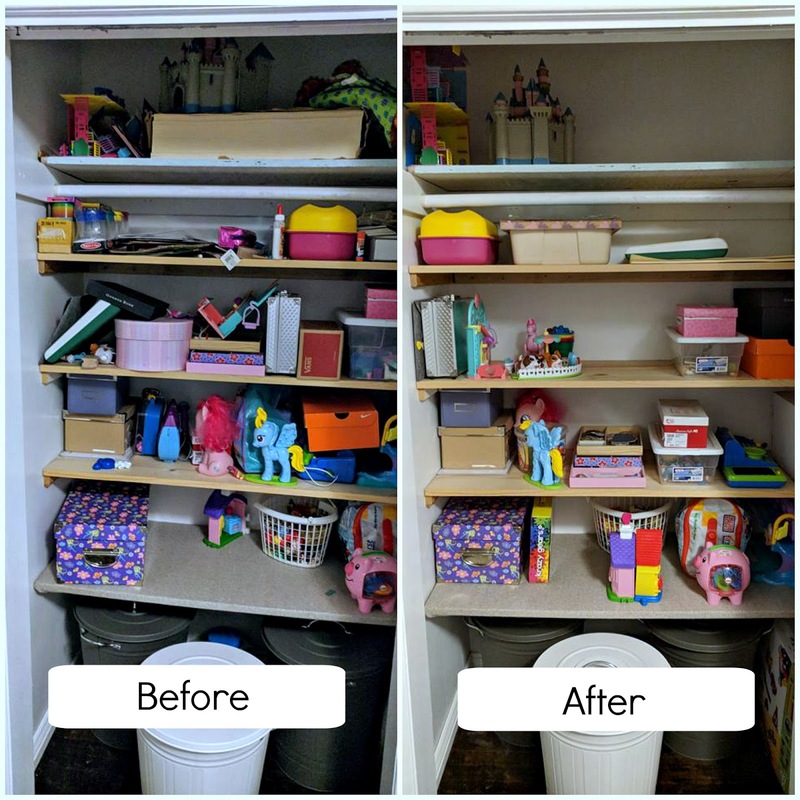 Marie Kondo goes on to talk about storing based off of frequency of use. "I use only two categories for frequency of use: things that I use often and things I don't. Take the contents of a drawer, for example. You will naturally start keeping the things you use less in the back of the drawer and those you use more in the front. There is no need to decide this when you first lay our your storage space. When you are choosing what to keep, ask your heart; when you are choosing where to store something, ask your house. If you remember to do this, you will instinctively know how to proceed with organizing and storing your things." It doesn't need to be complicated. Like she said it will come naturally. Let's talk about how its best not to pile things...I mean lets be honest. Who wants to put back something that is on the bottom of the pile. No one! Clutter will start to form if things are too hard to put back. So let's see what Marie Kondo has to say about vertical storage. 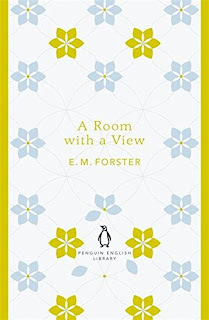 "I store every item vertically if possible, including clothes, which I fold and stand on edge in my drawers, and stockings, which I roll up and stand in a box. The same is true for stationary and writing tools: whether boxes of staples, measuring tapes, or erasers, I stand them on edge. I even store my laptop in the bookcase as if it were indeed a notebook. 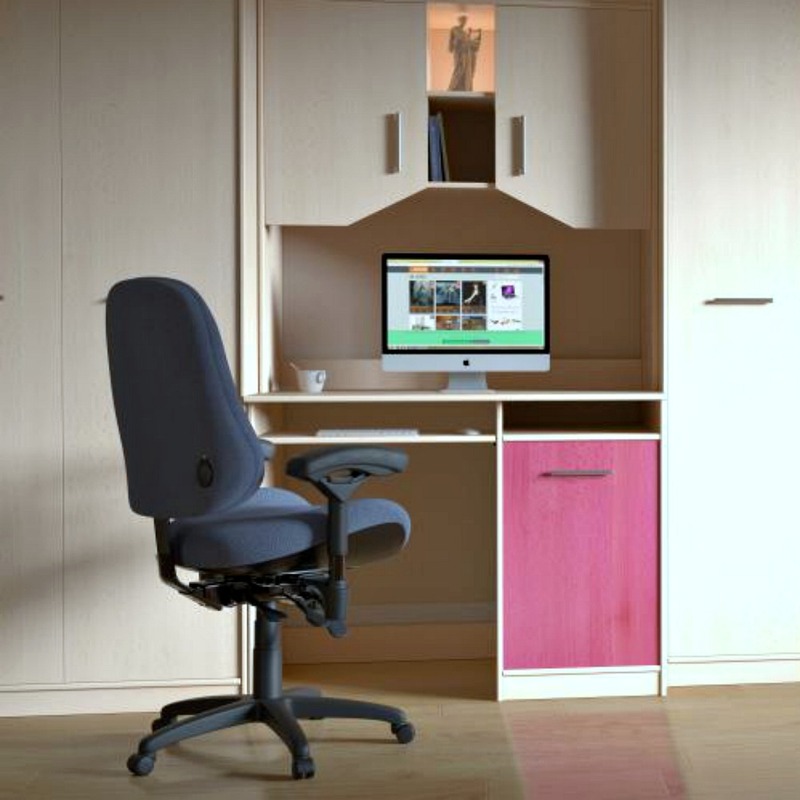 If you have storage space that should be sufficient yet falls short, try standing things vertically. You'll find that this solves most problems. The other reason is this: STACKING IS VERY HARD ON THE THINGS ON BOTTOM. When things are piled on top of one another, the things underneath get squished. Stacking weakens and exhausts the things that bear the weight of the pile. Just imagine how you would feel if you were forced to carry a heavy load for hours. Not only that, but the things in the pile virtually disappear because we forget that they even exist." This is my playroom in the closet. Nothing fancy, but my girls have changed toys 3 times since I did the challenge so buying bins specifically for certain toys just doesn't make sense. Use what you have. I am really passionate about this next thing. I have talked to so many people who say that getting organized is expensive. They worry about spending $100s on storage containers. I am HUGE on looking around my house and seeing what works first. No it might not be AS pretty, but it is functional and FREE. I especially like doing this with kid toys, because those are rotated as kids grow and want different toys. That way you can change up the containers easily. The number one container I use are shoe boxes. I use these in my girls' playroom ALL THE TIME. "Large cardboard boxes or electrical appliance boxes, however, are too big for storage dividers, inconvenient for other types of storage, and just plain ugly. Please get rid of them. 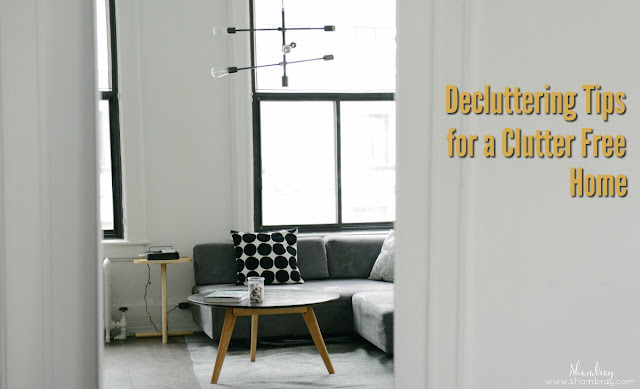 Whenever you come across likely storage boxes while you are cleaning and sorting your belongings, set them aside and in one spot until you are ready to start storing. Be sure to discard or recycle any that are left once your house is in order. NEVER HANG ON TO THEM IN THE BELIEF THAT YOU MIGHT USE THEM SOMEDAY. I don't recommend using round, heart-shaped, or irregularly shaped containers as dividers because they usually waste space. However if a particular box gives you a thrill when you hold it, that's different....Hair accessories, cotton swabs, or sewing supplies might work in them." Let's see what she says about bags...I love this storage idea. "The best way to store purses, handbags, and other bags is to make sets according to the material, size, and frequency of use and to store them one inside the other, like nested boxes. All straps and handles should be left in plain view. If the handbag used for storage came in a bag, you can store the set in that. Line up these sets in your closet or wardrobe where you can see them." 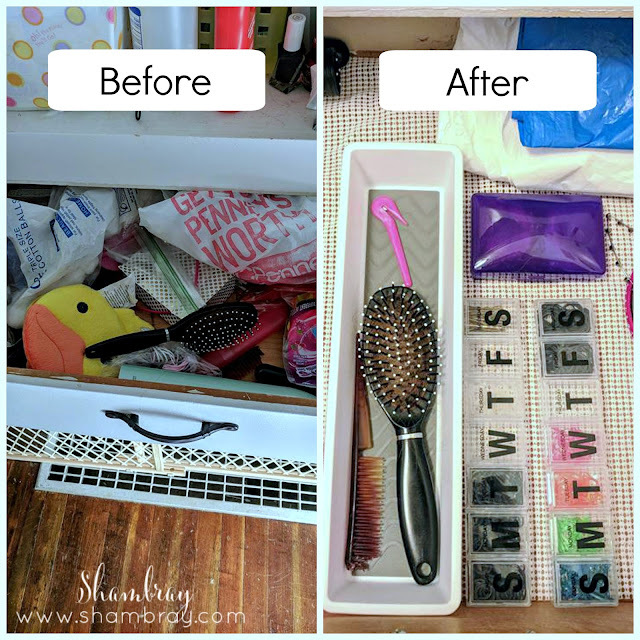 If you are like me and like to label everything to easily find things and put things back then I have a bunch of blog posts for you. You can get all these labels for free on my blog. Check out which ones I have below. This is just a reminder that when we get rid of things then we can have more joy. BUT remember to take care of the things you have. 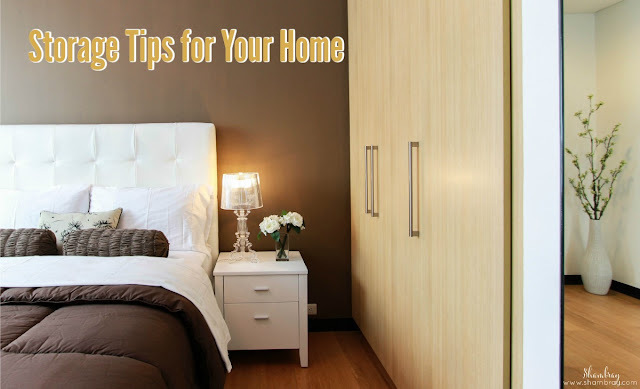 If you do they will last longer and your home will also be less cluttered. Win-Win! Some of these links contain affiliate links which means if you purchase after clicking on the link I will receive a very small commission. I wholeheartedly recommend these items and commission would never sway me to recommend something I could not stand behind. When I read the book The Life Changing Magic of Tidying Up I was so intrigued with the idea of never having a rebound. The thing that bothered me the most with decluttering was that it was constant. 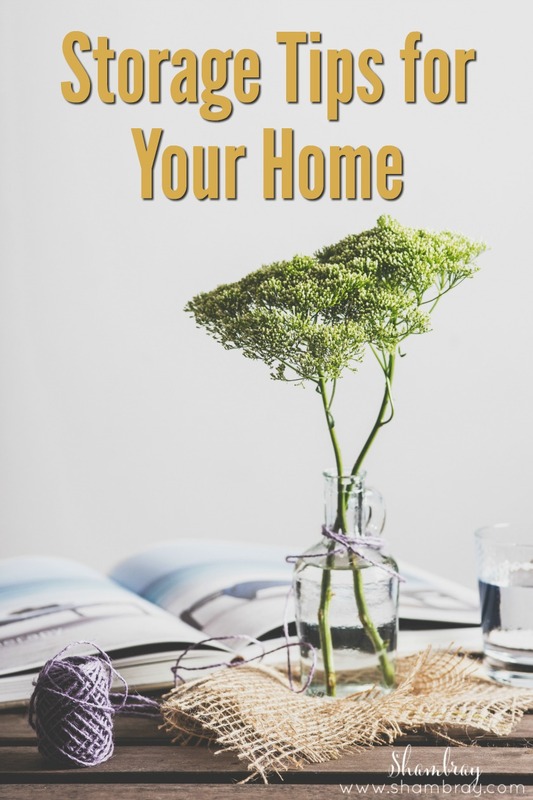 Once you decluttered your house you started over with where you started. I felt like it was very defeating. So when Marie Kondo promised that if you tidied in the way she said you wouldn't have a rebound I was all ears. I then planned on my decluttering challenge to be a life changing thing. It was going to be habit forming. However, I also knew that I would get sick in my life, my kids would get sick, life would have it's crazy times. 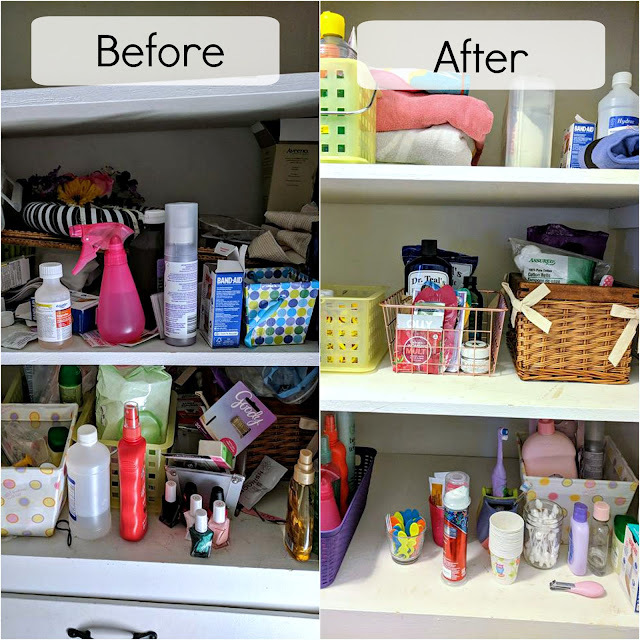 So I planned on keeping my decluttering sessions in place (it is something I have been doing for about 5-6 years now). If I have nothing to declutter then I won't have to do anything, but if I do then I can get on top of it right away. I currently have 3 15-minute sessions a week. I set the timer and I attack my clutter piles and put things away. This doesn't include my paper clutter session that I mentioned in this post. It is under the section titled "Paper Clutter". I really haven't had to have any marathon decluttering sessions. I do declutter my kids' playroom 3 times a year and because I like them involved sometimes that can be more lengthy, but I feel it is worth it in the end because I am teaching them the value of only keeping things you love. Another real life picture. This drawer used to stress me out every time I opened it. I haven't had even a slight relapse with this drawer. Everything has a home. Another tip that I swear by is: If something takes 2 minutes or less to do or put away then do it right then. 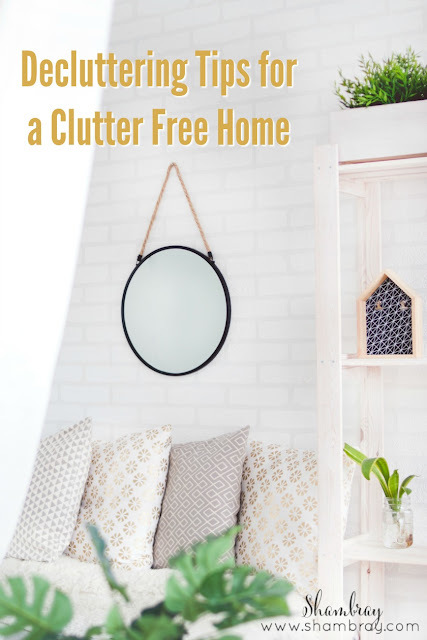 I promise that your clutter piles will be lessened if you do this. I don't have the time to do it daily. However, it is in my weekly cleaning schedule to clean out my car, wallet, purse, and diaper bag. So make sure you find a routine that works for you. This will keep it from getting out of control, but not just that it will help you find things more easily. I have found that as I am getting gas I will quickly go through my car and purse and get rid of all the garbage. For some reason garbage just piles up. I also keep a plastic bag in my car and if I have time while waiting for my gas tank to fill I will put anything that needs to be carried into the house in that bag. It saves me time on my weekly car cleaning day. This next tip might seem silly to you, but try it if it is something you don't do already. Take off the labels of anything you don't need to label. Our brains register every written word. So when you open a closet full of containers and each of those containers has a label from the store on them then your mind sees all the busyness of it and can't settle. So be very sure when you add words that it isn't too excessive to a space and will cause your mind to not rest when you open the storage space. Does that make sense? Should I declutter room by room? Should I declutter a little drawer each day? How should I begin? I was at a loss on how to declutter and feel good about what I did. 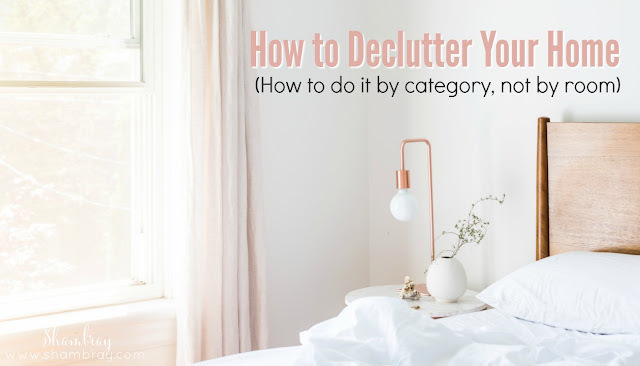 I would find ways to declutter, but then in 3 months, 6 months, or even 1 year later I would find myself needing to declutter that same area again. It was quite defeating. I can say that after doing this challenge for myself and my readers last year that this way works. It transforms your way of thinking and you won't go back to more clutter. It is amazing and I have been so happy that I took the time to do this. As I mentioned in the first post about the challenge, you will do it by categories. This helps you start with the easiest things and then work towards the harder things. That way when you get the the hardest category (sentimental) you will have had lots of practice before hand. I want to give you some tips I learned along the way for each of these categories. I mention a book and when I do it is always the book, The Life Changing Magic of Tidying Up. I wrote a whole blog post about why you need to read it! My biggest thing with clothing is to make sure you love what you keep. Even if that means getting rid of something you only wore once. Even if it means you get rid of a gift. Things like that will just sit there and collect dust and take up space. 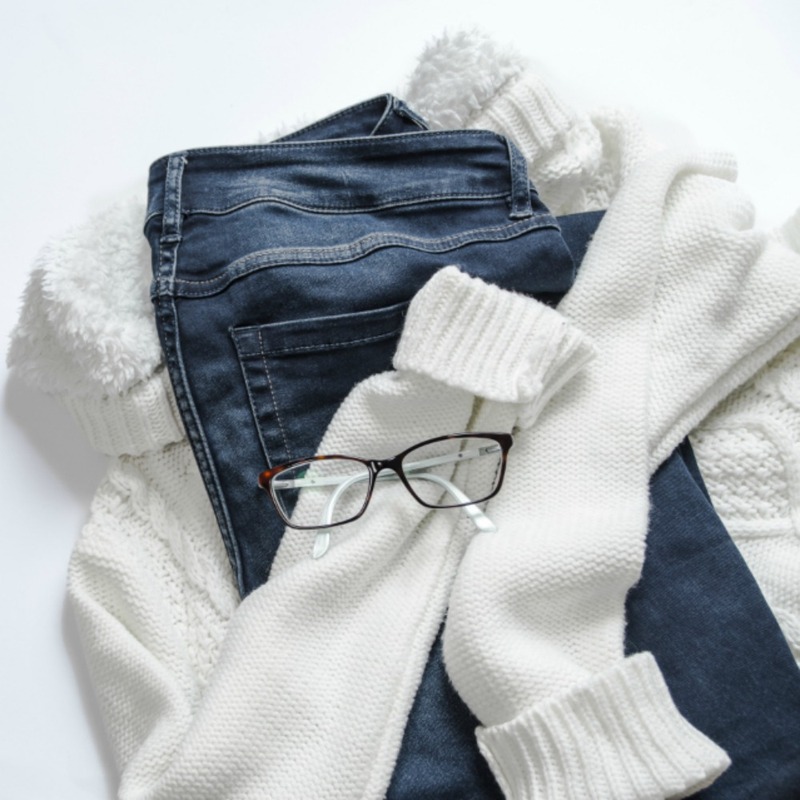 You will feel so much better and confident with a closet full of clothes you like and want to wear. I have had a 36 piece wardrobe for about 3.5 years now. It has been amazing to me to see how much I love my closet now and I have A LOT LESS STUFF than I used to have. 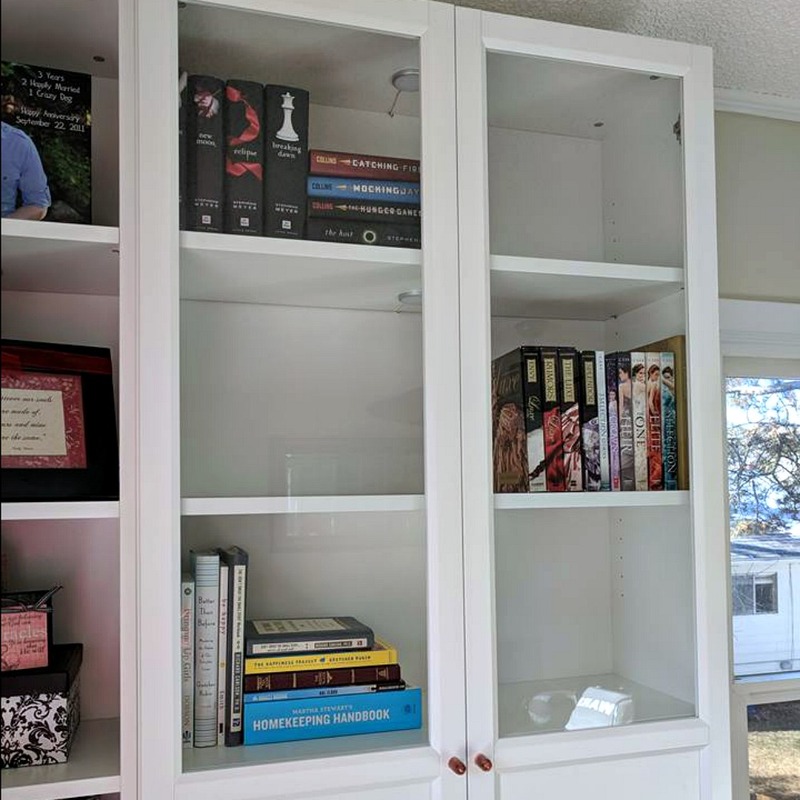 This is from the book: "Books are usually arranged in rows in bookcases so that their titles are clearly visible, so it does seem to make more sense to weed out those you don't want when you can see them. Not only that, but books are heavy. Taking them all off the shelf only to put them back on again seems like a waste of effort. Even so, do not skip this step. Remove all the books from your bookcases. You cannot judge whether or not a book really grabs you when it's still on the shelf." She goes on to say, "Once you have piled your books, take them in your hand one by one and decide whether you want to keep or discard each one. The criterion is, of course, whether or not it gives you a thrill of pleasure when you touch it. Remember I said when you TOUCH it. Make sure you don't start reading it. Reading clouds your judgment." Then once you are done and only have books that you LOVE it will feel SO GOOD! She says, "For someone who loves books, what greater happiness could there be?" If you have too many books to pile all on the floor at once then take them in the categories that are on the spreadsheet and weed them out that way. "The most common reason for not discarding a book is "I might read it again.'" "Books you have read have already been experienced and their content is inside you, even if you don't remember. So when deciding which books to keep, forget about whether you think you'll read it again or whether you've mastered what's inside. Instead, take each book in your hand and decide whether it moves you or not. Keep only the books that make you happy just to see them on your shelves, the ones that you really love. That includes this book, too. If you don't feel any joy when you hold it in your hand, I would rather you discard it." "The problem with books that we intend to read sometime is that they are far harder to part with than ones we have already read." "If you missed your chance to read a particular book, even if it was recommended to you or is one you have been intending to read for ages, this is your chance to let it go. 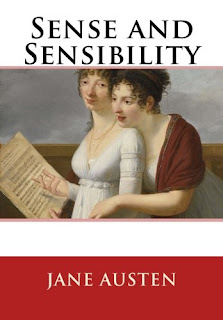 You may have wanted to read it when you bought it, to teach you that you didn't need it. There's no need to finish reading books that you only got halfway through. Their purpose was to be read halfway. So get rid of all those unread books. It will be far better for you to read the book that really grabs you right now than one that you left to gather dust for years." "So if, like many of my clients, you have any books that fall into this category, I urge you to stop insisting that you will use them someday. Get rid of them today. Why? because the odds are very low that you'll ever read them. Of all my clients, less than 15 percent put such books to use......If you haven't done what you intended to do yet, donate or recycle that book. Only by discarding it will you be able to test how passionate you are about that subject. If your feelings don't change after discarding it, then you're fine as is. If you want the book so badly after getting rid of it that you're willing to buy another copy, then buy one-and this time read and study it." I followed this advice when cleaning out my books. She went on to say keep the books that are in your personal "Hall of Fame" category. These are those books that you know you will read again and just by looking at them you can't help but smile. Then the next category of books to keep but didn't make the "Hall of Fame" are books that inspired you. These books will change as life changes. So you need to keep tabs on these books and discard when necessary. The last quote I want to share and completely think this is true is "I have noticed that having fewer books actually increases the impact of the information I read." Magazines can be one of those things that can build. I like to keep my cleaning to a minimum on Sundays. It's the one day a week that I give myself rest. However, I always take 10 minutes to look through a magazine. I might take longer if I have a bigger pile of magazines. That way I make sure to get through one or two magazines. If I see something that I HAVE to reference later then I usually tear out the page that I need to reference or take a picture of it and file it in a folder to look back on. I always make sure that this is something that is worth keeping. I don't want clutter in my home or even on my computer/phone if it will never be referenced again. Once I am done with the magazine I recycle it and move on. If I didn't do this then my house would be swimming in magazines. The reason we go to a lecture or seminar is to learn and grow in that area of expertise. Now I am going to say something that might seem harsh, but I don't mean it that way. THE ONLY WAY YOU WILL GET RESULTS FROM A SEMINAR IS TO PUT IT INTO PRACTICE. I say this because if you keep the notes for years, more than likely you won't ever look at those notes and they will clutter your home. If you do then you might not remember what was meant by your notes after years of sitting in storage and you will probably want to take another class on the same thing to freshen your memory. If you REALLY can't part with something then get it converted electronically. I like to take stock of my electronic files yearly just to stay on top of them as well. My number one piece of advice is to immediately go (like right when you start decluttering this type of paper) and get these put online. There are paperless options. Please use them. If you can't do that then take this advice: Once you get these statements then check the content to confirm everything is correct and record it where necessary. Then get rid of it. At that point it has fulfilled its purpose. Pay Stubs first...The main reason you should keep these is to check what is on there and that it is correct. Most times at that point it is a good idea to get rid of it. If you are applying for a loan then maybe keep a few months worth. No more than a year! Greeting cards: When I get a thank you card or any card for that matter I read it and cherish it in the moment and then get rid of it. I will say I keep some that are more life changing. Basically really special ones only. The purpose of the card was to let you know that you were thought of. If you took that positive vibe in then its purpose is over. I do keep Christmas cards. These bring me TONS of joy so I punch holes in them (only the ones with pictures) and then bind them with book rings. My family and I love to look back over all the years and see how much everyone changes. It brings us lots of joy so it makes sense for us to do this. I also store them with my Christmas stuff. 1. I keep them if I have a print out of what was paid for tax purposes. Then I keep it with my tax documents for 7 years. If it is provided online then I don't print it out. 2. If I have a large bill that hasn't been paid (babies anyone?) then I keep all the supporting documents until it has been paid. Once it is paid the only thing I keep is the record of what was paid for (again for tax purposes). Manuals-Only keep ones that you continually reference. If you are going to stick it in a file then get rid of it. Utilize it when you first get the item and then toss it. Most of these manuals can be found online anyways. Warranties- Keep them as long as they are not expired. Keep them all in one file together. Then either each time you have to pull one out OR once a year go through them and get rid of the expired ones. Real picture of what I did to my closet outside of our main bathroom. Let's talk about the the things around the house that we don't notice all the time because they have become part of our house. Unused gifts - I'm talking about party or wedding favors, souvenirs from friends/family, gifts given to you on your birthday, and so on. Now I am not talking about things that are your taste or that you love. I am talking about the ones that you have used once, if at all. They are the items in your house that cause you guilt every time you look at them because you wish you liked it or could use it, but you just can't. They are either put in the back of a closet, on top of a shelf, or in a drawer. Now I want you to hold that gift and think about the person that gave it to you and remember that they gave it to you because they love you and thought of you. They would HATE to know that it is causing you guilt or is going unused. You will do so much better getting rid of it and letting someone else actually ENJOY it! Cosmetic samples saved for trips: If you do not use them within a year please throw them out. Reason is that when the quantity is very small (like samples) the quality deteriorates faster. You don't want to be on a trip trying to relax and realize that the lotion, shampoo, or conditioner is all dried up or bad. Then you are driving around trying to find these items or paying an arm and a leg for them. Just make it a habit to toss them yearly. Set a reminder on your calendar if you have to. Just do it! Electronics Packages: I have to tell you that this is what my husband kept the most of. I have broke his error of judgement (haha), but it has taken years. Boxes take up SO MUCH ROOM! So get rid of that box your cell phone came in as soon as you get it out of the box. My husband kept them because he thought the electronics would be easier to sell if he had the box, but he has sold so many without the boxes since I had him get rid of them right away. You also don't need them for moving...unless you are moving in the very near future. Don't save them for a "someday" move. Get the boxes for moving at that time of moving. HAHAHAHAHAHA. WE ALL HAVE THESE! 99.9999999% of the time you can toss it and you won't even know the difference. However, if you get nervous then keep the pile of them and make sure after you are done decluttering that each of your electronic devices has a cord. Then toss the pile (it is probably a pile of cords for already disposed of electronics). Honestly, if you find that you need a cord later on then go buy one. It will take you less time to do that then to try and find it in the mess of cords. Broken Appliances: Get rid of them. Unless you have a hobby and ENJOY fixing these things, then get rid of them. The only exception is if you can't live without it and you need it repaired right away. However, if you don't NEED it or it's going to sit for months or years to "someday be fixed" then please get rid of it. "Bedding for the guest who never comes": Don't keep tons of bedding for guests that you never have. It is such a waste of space. I am not talking to anyone who has regular guests. Products from the latest trends: This can be any kind of trend. It is the trend that you went all in and got so many things to do it...health trends, hobby trends, kitchen trends, etc. If you are no longer passionate about it then get rid of it. I know it cost a lot of money, but it made you happy while you did it. It is no longer making you happy. So let it go! Spare buttons: My mom had a Tupperware full of them and they were RARELY used. Many times if you lose a button on a clothing you will either wear it without the button, be done with the piece of clothing anyways, or let it sit until the article of clothing becomes faded because it has been sitting too long. Don't keep the buttons if you aren't going to use them. If you have suits or coats that you KNOW you will replace the buttons to then sew the extra buttons to the inside of the article of clothing. They do that now with a lot of coats anyways. This one is my favorite category. Phone cleaners, notepads, pens, fans, plastic cups/water bottles, glasses, Post-It notes, folder, calendars, balls, whistles, the list goes on and on. You didn't buy any of these things because they don't bring you joy. So get rid of them! Only keep the things that bring you joy! Any guesses on what Marie Kondo finds the most of laying around all over the house? Coins....I found it interesting and I can totally see this. Her advice is to put coins IMMEDIATELY in your wallet. Coins are not junk. They are money. So make sure to use them! Don't just think they are worthless because they aren't paper. We have an allowance system in our home. So we have a bank with coins to give our girls, but they aren't all over the place. They are either in the "bank" or in our wallets. Key point to take from it....use your coins. Marie has a part in her book about stock piles. Do you want to hear some of her records for stock piles? She goes on to say, "Unlike a shop, if you run out of something at home, it's not a big deal. It may cause you temporary stress, but it does no irreparable damage." "Give it away to friends who need it, recycle it, or take it to a donation shop. You may think this is a waste of money, but reducing your stock and relieving yourself of the burden of excess is the quickest and most effective way to put your things in order. Once you've experienced the freedom of a life without surplus stock, you won't want to give it up and will naturally stop stockpiling. My clients tell me that now life is more fun because when they run out of something they enjoy seeing how long they can last without it or trying to substitute other things. It's important to assess what you have on hand now and eliminate excess." I have one extra toothbrush on hand for my girls at a time. You know just in case they drop their's in the toilet...or something. I always take stock of my plastic wrap when I put together my grocery list. Same goes for cotton swabs. Toilet paper I check monthly because I buy a big package when I need to at Sam's Club. I get the feeling of not wanting to run out! I hate running out of something, but I don't want my stockpile to consume my life either. This part was interesting to me. Here are some quotes I loved from the first section on sentimental things. REMEMBER: Keep the stuff that still brings you joy. There isn't a limit on what you can keep, but really think about each item. "No matter how wonderful things used to be, we cannot live in the past. The joy and excitement we feel here and now are more important." I love this quote and everything she says here: "By handling each sentimental item and deciding what to discard, you process your past. 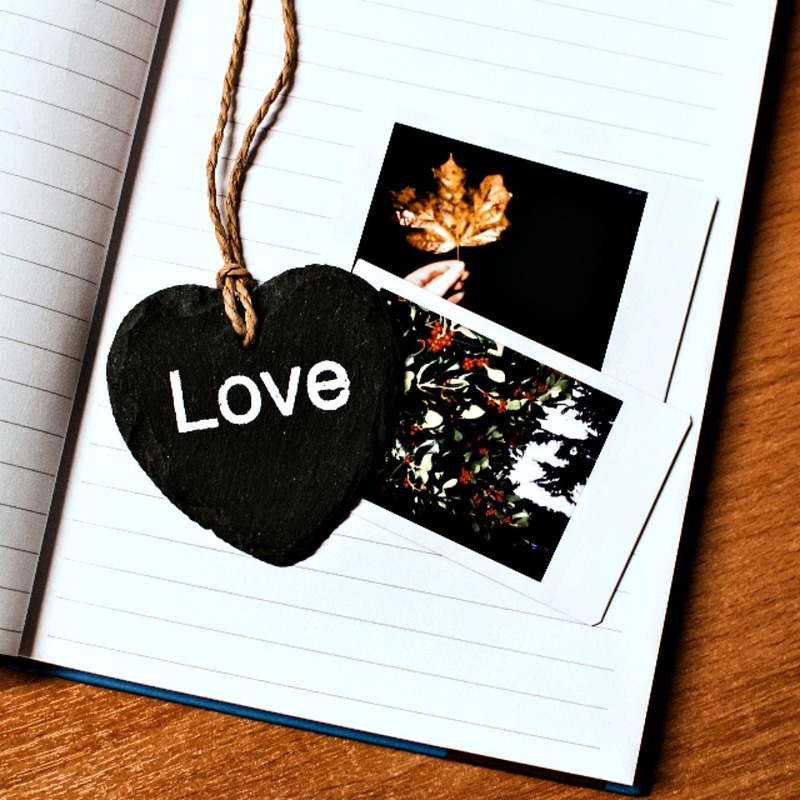 If you just stow these things away in a drawer or cardboard box, before you realize it, your past will become a weight that holds you back and keeps you from living in the here and now." A piece of advice she gives is DO NOT SEND YOUR SENTIMENTAL THINGS TO YOUR PARENT'S HOUSE. That is just prolonging this process. At one point you will have to address it. Do it now! When it comes to things your kids gave you then really think if it brings you joy. My guess is some of them will and some of them won't. So keep the ones that do. Letters were hard for me. This is what she said about letters. "The purpose of a letter is fulfilled the moment it is received." So don't hold on to it just because...only hold on to the ones that bring you joy and happiness. This category was hard, but after months of practice I luckily had become so much better. So don't stress out now! Let's talk photos. I am going to quote the book again because as I did my decluttering I noticed a lot of truth in these statements. 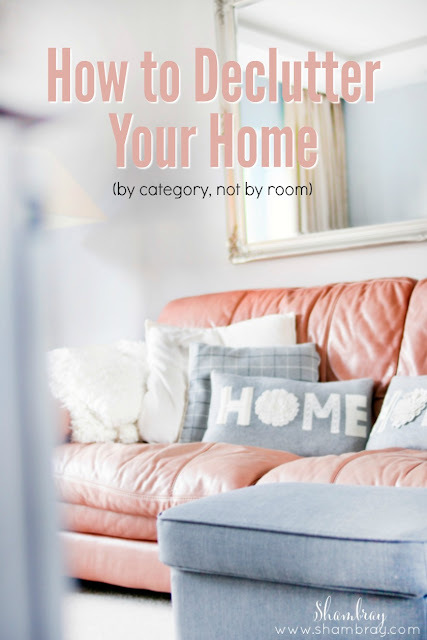 "Because photos tend to emerge from the most unexpected places when we are sorting other categories, it is much more efficient to put them in a designated spot every time you find one and deal with them all at the very end." "There is a good reason to leave photos for last. If you start sorting photos before you have honed your intuitive sense of what brings you joy, the whole process will spin out of control and come to a halt. In contrast, once you have followed the correct order for tidying ....sorting will proceed smoothly , and you will be amazed by your capacity to choose on the basis of what gives you pleasure." She goes on to say that you should pile all your pictures in a big pile. Now....I was a huge scrapbooker back in the day. I did not take my pictures that I spent time and energy on (not to mention hours of journaling) out of the scrapbook just to put them in a pile. I also have many pictures already filed by date. I did not take those and jumble them up and have NO idea what year they are from. However, I did take pictures one by one and really thought if it is something that my kids, grand kids, or great grand kids would want to see. If it truly brings me joy then I think they will want to see those pictures. Go through them now. Enjoy them now! Don't keep piling these pictures up until you are gone and then your kids have to go through them and maybe not care what half of them are. I speak from experience in this...my husband's mom passed away 13 years ago. We have gone through picture after picture of not knowing what it was or who was in the picture (we've asked my father in law and we've asked siblings if they knew what the picture was). Many of the pictures were of things or blurry, so we didn't care about them. However, we still cherish the ones with her and her family and ones where she is smiling. Those are the ones that bring us pure joy!